I have tons of word documents and recently I wanted to grep through them. Poking around I could not find a good tool to get the job done. Then I found a post that suggested converting the word documents to text files then grepping them. I thought that was a good idea so I decided to go that route. Installing it on cygwin takes a few more steps. Here is the commands I ran to get it installed. 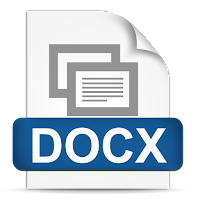 If you want to simply batch convert a ton of .docx files and create the .txt file in the same folder as the original .docx file then run this simple command. What if you really did not want to place all the .txt files in the same location as the .docx but to mirror it in a new folder? Well I spent a while trying to make a neat one liner… but eventually gave up on that idea and made this script. This script places all the converted docx files into a folder called txtFiles. Now you just grep there.